With close to 20 years in the mortgage industry and a consultative touch, Nishka makes the entire process smooth and easy. With close to 20 years of experience with Canada’s oldest chartered bank, and over 2500 residential mortgages funded, Nishka has the experience to help you through any situation. Nishka’s team has a consultative approach to figuring out your mortgage needs. From the initial meeting all the way through to signing with the lawyer, you will have the comfort and peace of mind knowing that your financing needs have been developed to meet your specific financial situation. What Best Describes Your Mortgage Need? Do we renovate? Do we buy a vacation home? Do we package up our debt and add it to our mortgage? Using your home equity doesn’t have to be expensive. From re-organizing debts to parents helping their children buy homes, draw upon Nishka’s collective experience from dealing with every possible financing scenario over the past 15 years. “Nishka has been our mortgage advisor for many years. While we have always valued her experience, excellent customer service, and advice in providing financing solutions, it wasn’t until we started our major renovation that we got to see how extensive her knowledge really is. Not only did Nishka recommend over 10 trades people to us, she also came to our home and shared some of her personal experiences, offering ideas from several of her projects on her past homes. She also drew upon the collective experiences that her clients have been through, some of which are property developers. 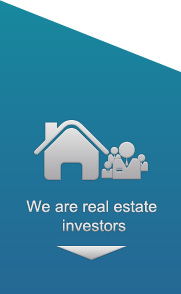 As a real estate investor you want a mortgage advisor with experience. In addition to structuring mortgage financing deals for over 15 years, Nishka is also an active real estate investor herself. Having bought and sold close to 10 properties in the past 10 years, Nishka understands how real estate in the Vancouver area is an integral part of building wealth. With over 50 lenders at her disposal, Nishka can find the funds to “do the deal” and structure it in a tax efficient manner. How exciting! After driving around town, visiting a million open houses over countless Saturday’s, you are ready to make an offer. Or maybe it’s just the opposite! The house that you have always found an excuse to drive by now has a For Sale sign! Suddenly the traffic on the street seems much more than usual; you know you are going to have to go into a multiple offer situation to get this one! This is where Nishka shines! In either situation you need a mortgage advisor who can act fast to get you an approval with the right lender so you can remove that “subject to financing clause” ASAP! You want to explore your options. Perhaps you are tired of making appointments during “Banker’s Hours” or you would like some advice on what type of mortgage best fits with the current rate environment. With access to over 50 lenders Nishka has the ability to find the right mortgage, with the right lender that best fits your needs. Today’s mortgage financing landscape is very different than when you initially set up your mortgage. Let Nishka guide you through the new government legislation and product options. How exciting! Buying your first home is something you will remember for a life time! Let me tell you why First Time Buyers love dealing with Nishka! Compass™, a program available exclusively from Nishka, allows you to harness her 20 years of experience as an Accredited Mortgage Professional. First Time Buyers that have been through the Compass™ process, on average buy a home 50% sooner and at a 50% to 70% greater purchase price than those First Time Buyers that haven’t gone through the process. With Compass™ you will get the road map and the directions you need to get you moving into your very first home! My wife and I were facing the exciting, but also somewhat horrifying task of purchasing our first apartment. As first time buyers, we really didn’t know a whole lot of the ins and outs of a home purchase and about all the different types of mortgages and lenders. Nishka made this whole process easy and as stress free as it could possibly have been. We were referred to her by a coworker and from day one she was absolutely wonderful. She is calm, patient, informative, extremely professional, and very easy to get ahold of if you have questions or concerns. We would highly recommend Nishka to anyone looking for a mortgage. Nishka has been an amazing resource for our first home purchase. She was professional and thorough throughout the process and secured a great rate for us quickly and efficiently. Thanks Nishka! “So grateful to have Nishka help us make our dream a reality!! As first time home-buyers, my husband and I were referred to Nishka to help us secure a mortgage. Nishka was incredibly patient, meeting with us in person to answer all of our questions and coach us through the process. She also made sure to keep in touch regularly throughout our experience so we were aware of where things were at and what was required of us. Even when faced with unique challenges, Nishka went above and beyond in gathering additional information and providing guidance to us on how to navigate our situation. Overall, the knowledge she shared with us and her drive to get us set up with the best mortgage possible reduced our stress and made the entire process easy and straightforward. 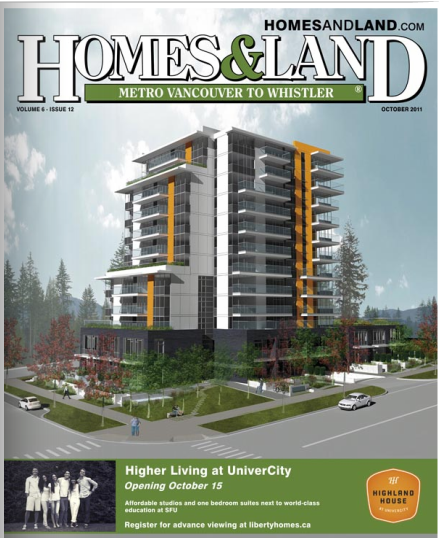 We would recommend Nishka to other first time home-buyers in a heart beat! A Mortgage Finance Blog filled with insights on real estate! Interest Rate Update – Spring Showers Bring Lower Rates? The Bank of Canada (BOC) kept rates the same this morning, however, there was mention of signs of growth in the Canadian economy in the last quarter of 2016. This doesn’t necessarily mean that we are heading for a rate increase in 2017, but it does take the potential for a rate decrease off the table – for now. The update, given in classic economist double speak, mentioned elements that suggest the economy is growing followed by elements that suggest the economy could be shrinking – with of course the now obligatory finger pointing at President Trump. Exports and wage growth are the key items to keep an eye on that could impact the bond markets. Currently, both are on the economic ropes, however, if exports start to increase (i.e., NAFTA left untouched by Trump) or a decrease in the unemployment rate, that could prompt the BOC to signal that a rate increase is now a possibility. Once that signal is given the bond market will take its cue and sell off, which will lead to higher mortgage rates. Click here to read a Financial Post article that explains how that could be a possibility in the later half of 2017. So what do the next few months look like for fixed interest rates? The answer is it’s complicated! Traditionally, spring has brought lower interest rates as lenders try to compete for the busy buyers market. However with all the recently introduced government regulations its tough for lenders to get a handle on how much it’s going to cost them fund their mortgages. In my experience what will most likely happen is all the lenders will hold rank – keeping interest rates relatively steady. Then at some point (around late April), one lender will come out with a rate special, and the floodgates will open with a race to the bottom. Am I expecting a return to last summer’s low interest rates? No, but we could see a 0.1% decrease. The caveat to that prediction is that rates could decrease slightly, provided the economy continues to show no signs of inflation. As I said to one of my clients this week “Economic bad news is good news for your mortgage”. Bottom line, if you have a mortgage that is maturing in the next 4 – 5 months, a bit of planning now could save you a lot of money. Don’t forget to Like my Facebook Page to keep current on news in the real estate market! Prime Increases, but is that Goldilocks at the door? Credit, Income or Net Worth – What’s Most Important To The Lenders? Prime Increases But Is The BOC Done for 2018? Are Variable Mortgages Becoming More Attractive? Stressed About The Stress Test? Interest Rate Update – Fixed or Variable in 2017 ? Rate Update – Who’s Driving The Bus? Is It Time To Fix your Variable Rate Mortgage? Variable Rate Update – Third Quarter a Charm? Variable Rate Update – Reaching Escape Velocity? 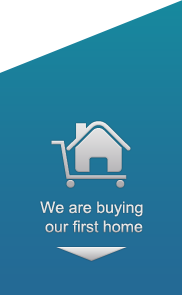 First Time Home Buyers – Fast Tracked! Variable Rate Update – Rate Cut! Now What? 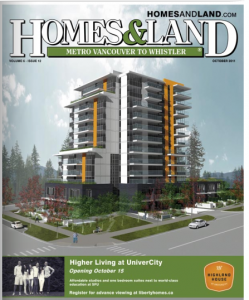 BC Land Transfer Tax Threshold Increased! BC Assessments Are In – Dispute or Status Quo? The service that Nishka provided was exceptional. Not only did she find me a great mortgage but also gave me some common sense solutions for future investments. I would highly recommend Nishka to my friends and family, and look forward to working with her in the future. Discover The Power of We! You can be a part of the "Power of Who". If you know of a person who should be on Nishka's list please send her an email!